It is quite clear from the numerous media reports and newspaper articles that the Oscar Pistorius trial has attracted attention never before seen in the South Africa legal system. It is in our view important to comment on some of the legal issues raised during the bail hearing. People often forget that the bail proceedings have no penal nature to it and it is not the first attempt by the prosecution team to sentence a person or to score points in the public perception. Sadly, it is often portrayed as such in the media. Whether Oscar was therefore granted bail or denied bail should never have been seen as a punishment of any sorts on the one side or as a stain on our legal system on the other side. There was never any evidence produced during the bail hearing by the prosecution team, in our view, remotely substantiating an allegation that Reeva Steenkamp was killed as a result of a premeditated action by Oscar Pistorius. The argument submitted by the prosecution team that the premeditation is founded in the time Oscar had to reconsider his actions whilst fitting his prosthesis is not only remote and fanciful but quite cosmetic in nature. In a recent High Court ruling in the matter of State v Raath, the full bench of the Cape High Court found that where a father forced his son to remove a firearm from the safe so that he could kill the son’s mother was not sufficient to constitute premeditated murder and it is with that in mind that we are of the view that there is no premeditation at this stage present in Ocar Pistorius’ matter. It is not going to be easy for the prosecution team to convince the trial court of convicting Oscar of the murder of Reeva Steenkamp. At the bail hearing, it was submitted there were neighbours who apparently overheard some verbal argument between Oscar and Reeva prior to the shooting incident. The Prosecution team then sought to allege that Reeva Steenkamp fled to the toilet to hide from Oscar and that whilst being in the toilet she was shot dead. That is off course possible, but that argument could easily fit Oscar’s version too and we know that whenever a South African court is asked to draw an inference from circumstantial facts it must be the only reasonable inference possible. Equally it is a reasonable possibility that Reeva could have gone to the toilet whilst Oscar went outside to bring the fan in and that he thought a burglar had climbed through the window and was hiding in the toilet. If there are other reasonable inferences that could be drawn from circumstantial evidence then one cannot exclude the defence team’s version. We are of the view that the facts presented at the bail hearing supports Oscar own version rather than that of the prosecution team. Although this discussion is not an attempt to try and prejudge this matter, it is important to note that there can never be talk of self-defence during this trial. The reason for this contention lies in the fact that in order to prove self-defence there must objectively be an attack against which you defended yourself. We know factually, there was never an attack on Oscar or we would have found a dead burglar in the toilet. Accordingly, the issue of unlawfulness should be common cause and the only issue that should be raised is whether this putative defence on the part of Oscar Pistorius excludes his intention. If it is found that the reasonable amputee would have acted differently to the way in which Oscar acted he could be convicted of Culpable Homicide. That would mean that he negligently killed Reeva Steenkamp. At the very least we believe that if the bail proceedings are anything to go by he could be convicted of culpable homicide. 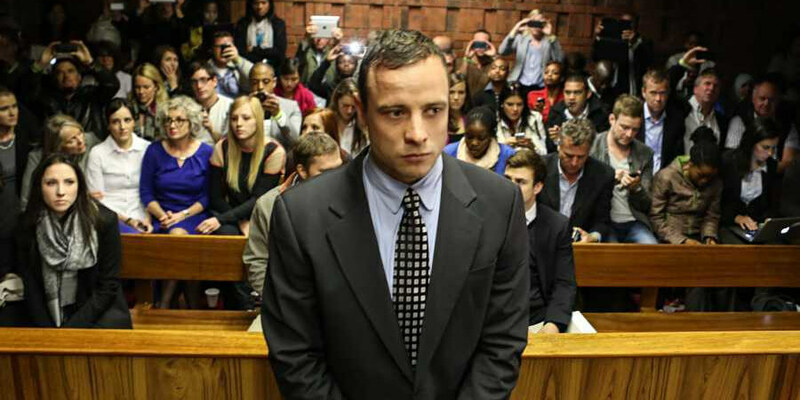 To prove that he did not at least act negligently will be a very tough hurdle for Oscar’s defence team to surmount. If the court accepts his version but finds that he acted so grossly out of proportion to how a reasonable amputee in his position would have acted his actions could even be viewed as a new attack and he could then even be convicted of murder. At writing hereof we are still months away from any trial in this matter, and we assume a lot of new evidence will emerge in this matter which could easily sway this matter in favour of either of the Prosecution or Defence team. Whatever happens we are sure it will be landmark trial and the verdict will be discussed over every cup of coffee. It will place the South African legal system under the microscope like never before.